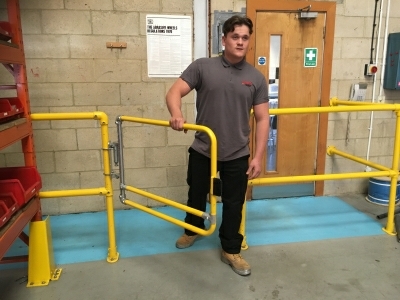 The KEE GATE range of spring loaded safety gates is a vital part of most railing systems and provides safe protection to openings such as on work platforms, around industrial machinery or as part of demarcation routes in warehouse and logistic centres in addition to providing safe access and egress for ladders, walkways and rooftop guardrails. 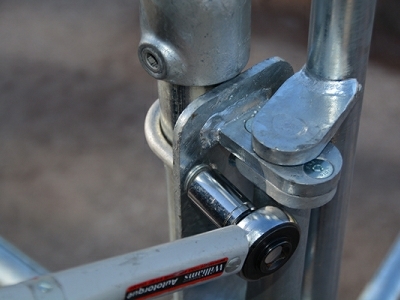 The advantage of our self closing gates is that they are spring loaded so automatically close behind the user. Once the user has passed through the gate; a spring closes the gap, filling the open void and reducing the risk of human error. 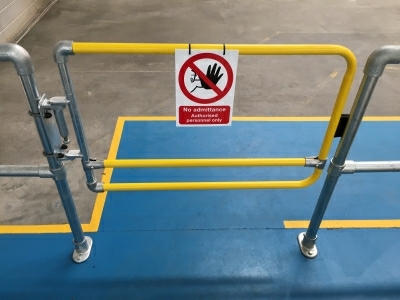 As a result self closing safety gates are the preferred solution by the HSE for safe access over traditional methods such as chains, bars and sliding link tubes. 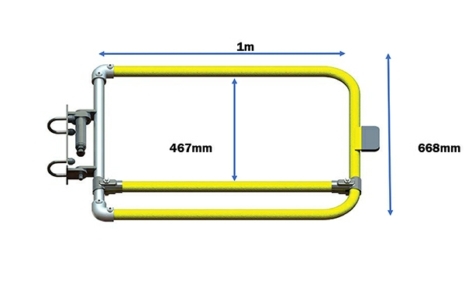 The single width KEE GATE is compliant to EN 14122-3 : 2016 and is supplied as a standard 1m gate which can be easily cut to size on site. 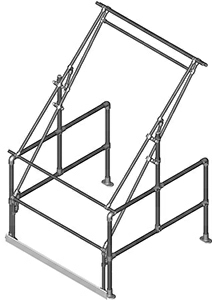 The Kee Gate full height gate has been designed to comply with EN 4211: Specification for Permanently Fixed Ladders. 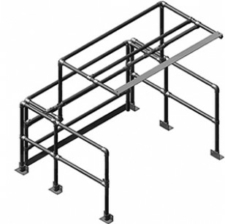 This standard requires that gates on ladders provide the same level of protection as EN 14122 compliant guardrail. 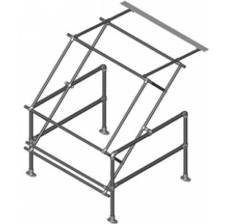 The full height gate is 1100mm tall, includes an aluminium toe board and provides protection for those working at any level. 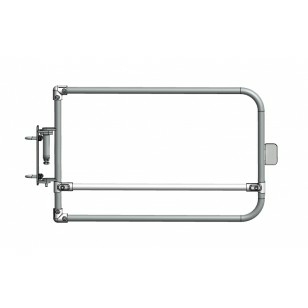 The gate is fully adjustable and can accommodate openings up to 1m. 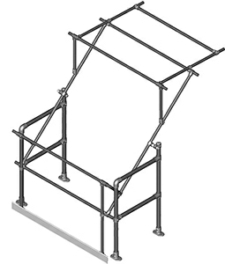 The range has been independently tested to comply with international standards including EN 14122 Safety of machinery Parts 3 & 4 and EN 13374. 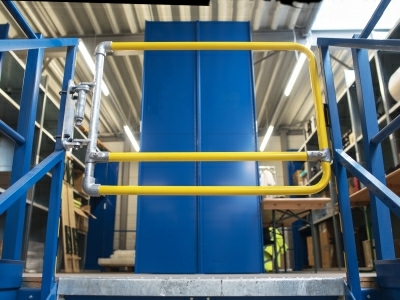 Part 3 of EN 14122 specifies the required standards for permanent means of access to machinery, stairways, stepladders and guardrails, while Part 4 relates to fixed ladders. 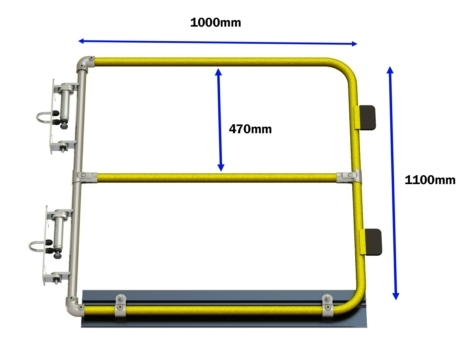 The gates are CE Marked and have successfully passed reliability testing such as Salt Spray Testing to ensure the coating's performance and Life Cycle Testing which proved the range's durability by withstanding 50,000 open and close cycles through 90 degrees. 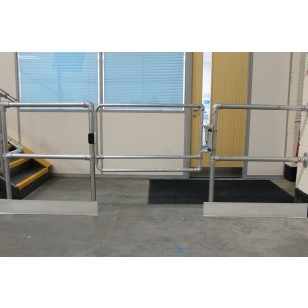 We can also supply this gate powdercoated. Please contact us on 0151 678 7997 or via email sales@deltagb.com to enquire.